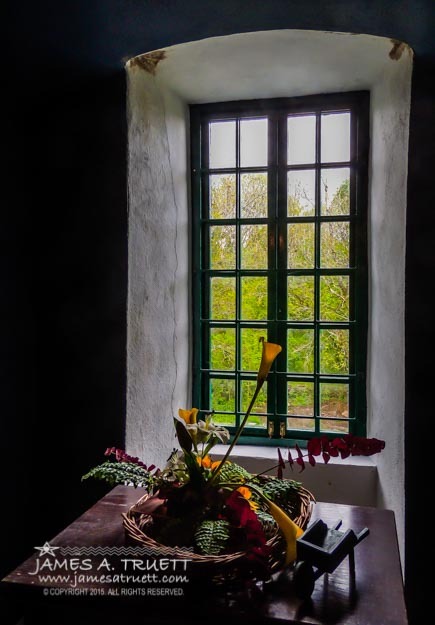 A large window opens onto the river from the first floor dining room at Thoor Ballylee. 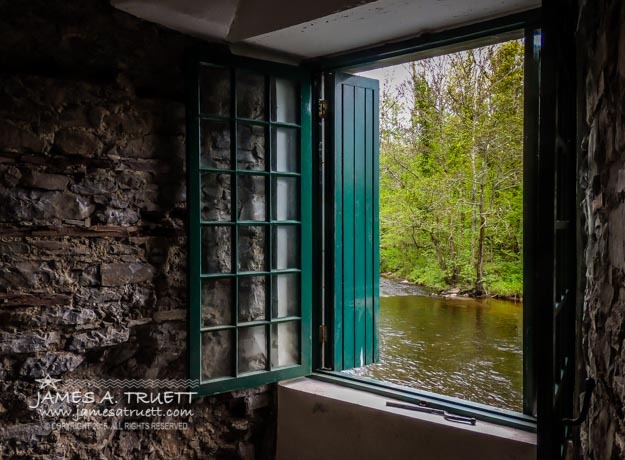 The Yeats Thoor Ballylee Society, a local non-profit group, has taken over the former home of Poet and Nobel Laureate W. B. Yeats near Gort in County Galway and is raising funds to restore and operate the historic site as a Yeats cultural center and tourist destination. The 15th Century Norman castle had been opened in 1965 as a Yeats museum, but was forced to close in 2009 after flooding caused major damage. The Irish government was unable to allocate funding for repairs. 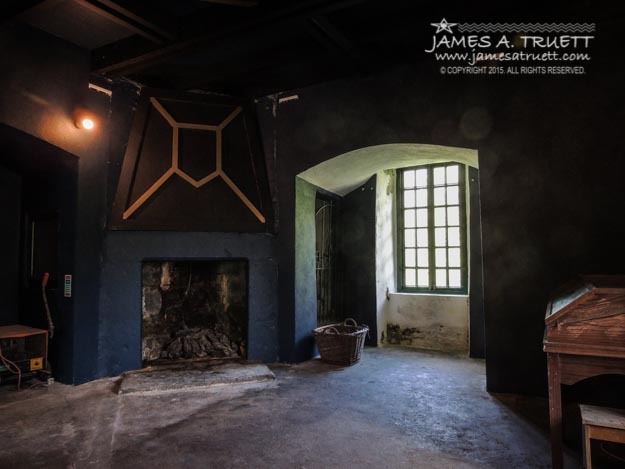 The Society reopened Thoor Ballylee for Yeats’ 150th birthday on June 13, but they still need support to continue restoration and operation. Please support them if you can. This Irish heritage site needs to be saved from falling back into ruin. You can read more about the group and make a donation here. 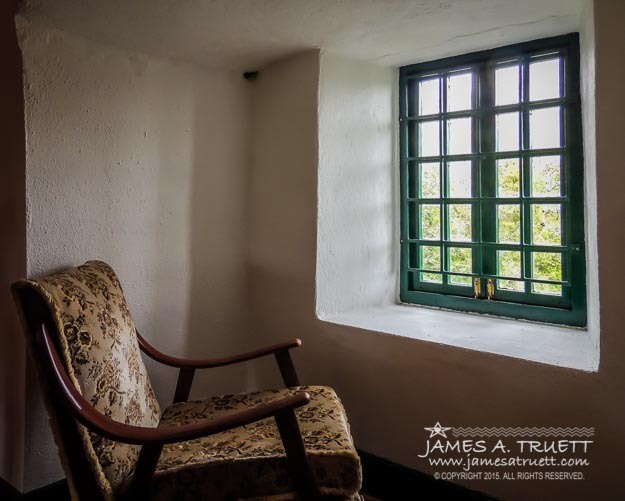 The Third Floor Bedroom sitting area with large window overlooking the riverside greenery at Thoor Ballylee. 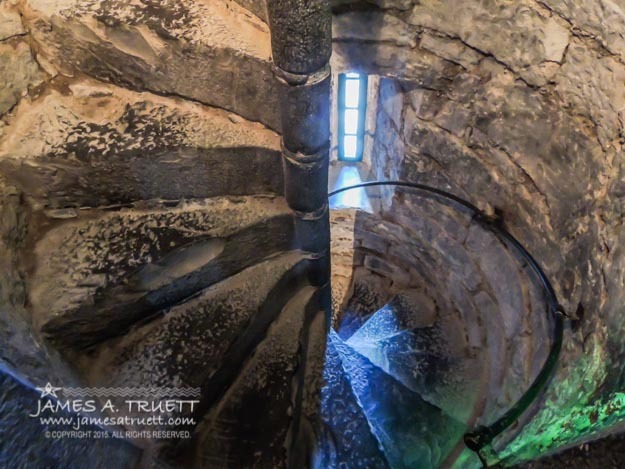 The winding stair immortalized in Yeats’ poem of the same name. The Second Floor Living Room in Yeats’ beloved Thoor Ballylee. Window looking out on the County Galway greenery from the second floor Living Room. 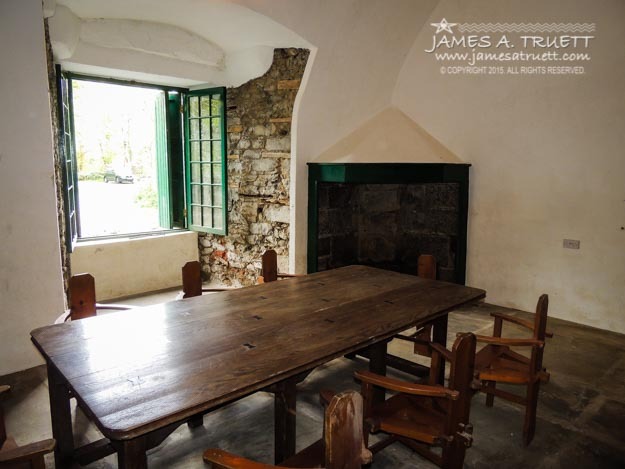 The first floor dining room — a favorite space for Yeats. 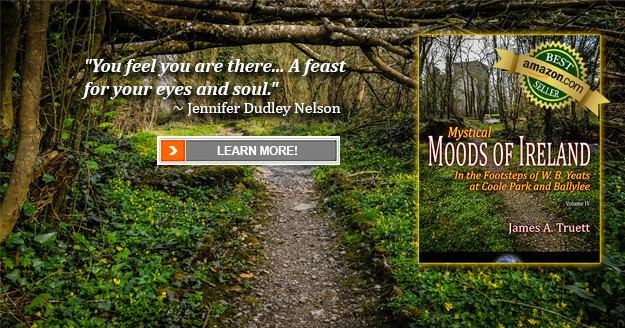 If you enjoy seeing the enchanting scenery of Ireland that inspired W. B. Yeats, you’ll enjoy this book with images capturing the natural beauty of two of Yeats’ favorite places — Coole Park and Ballylee in County Galway. Click on the image below to learn more! This would on things to see when I get to Ireland. Absolutely, Jelane! Beautiful place inside and out.